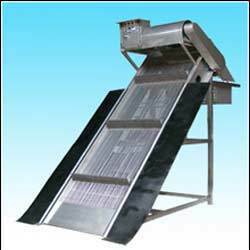 Pioneers in the industry, we offer mechanical bar screen from India. Our competency lies in offering our clients an excellent quality range of Mechanical Bar Screen. These mechanical bar screens are installed in sewage treatment plants for removing heavy materials. Offered mechanical bar screens are developed under the direction of experts using supreme class raw material as per the set industry norms. We provide these mechanical bar screens in a confine time at industry leading rates to our customers. Looking for Mechanical Bar Screen ?